Many donors have chosen to work with their attorneys and accountants to make a gift to the community through the Foundation. These gifts can be very important ways to minimize taxation while improving the community and taking care of family. Many families can benefit from one ore more of these techniques, and in the process become philanthropists in ways that they never believed possible. Assets may be used to leave a legacy simply by naming the Community Foundation as a beneficiary. This is a very important opportunity for many families to consider because these plans can have very serious negative tax consequences if they are passed on to anyone other than a spouse. The exciting thing about some of these plans is the ability to provide a lot of assets to children and still be able to support your community in ways that you never thought possible. Talk to us about this one. 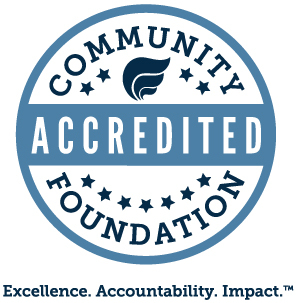 Life insurance can be used as a planned gift by making the Community Foundation a beneficiary. This needs to be done through your insurance agent. Some donors can realize substantial tax benefits by giving their residence of farm to the Foundation and retaining the right to use the property for as long as they live. At the end of the donor's life the property is sold and the proceeds used to establish a fund that carries out the donor's charitable wishes. Many senior citizens find these gifts attractive because they provide tax deductions as well as income at a very competitive rate. Some donors have established several of these gifts as ways to be charitable and to stabilize their retirement income. Many creative things can be done with charitable gift annuities including helping to pay the college expenses of one's grandchildren. Many donors have found Charitable Remainder Trusts exciting ways to make great improvement in the family asset management plan as well as helping to further charitable dreams in the community. Some fantastic savings can occur when using a Charitable Remainder Trust with a qualified retirement plan. Any of these gifts, in any amount, automatically qualifies the donors for membership in our Legacy Society. To talk with us about any of these plans call us at (765) 454-7298, or e-mail us at info@cfclinton.org. We are always glad to work with your professional advisors.